At a legislative hearing, witnesses decried the lack of CPR instructions provided by call takers at the state's 911 center. Meanwhile, the State Police superintendent pledged to review procedures and training of 911 call takers. This article was produced in partnership with The Public’s Radio, which is a member of the ProPublica Local Reporting Network. PROVIDENCE, R.I. — As Rhode Island lawmakers consider ways to improve the state’s 911 emergency system, the head of the state police on Thursday pledged to conduct a thorough review of procedures and training provided to 911 call takers. The American Heart Association says that providing cardiopulmonary resuscitation, or CPR, instructions over phone for emergency 911 calls involving cardiac arrest is the standard of care. Rhode Island, however, does not follow that standard. Instead, call takers in the state receive basic first aid and CPR training, which, Manni said, “has been the standard since the state police have assumed responsibility for 911” a decade or so ago. Though Manni said Rhode Island 911 call takers would receive “the best possible training,” he said he had not yet decided whether that would be emergency medical dispatch, telephone CPR or something else. 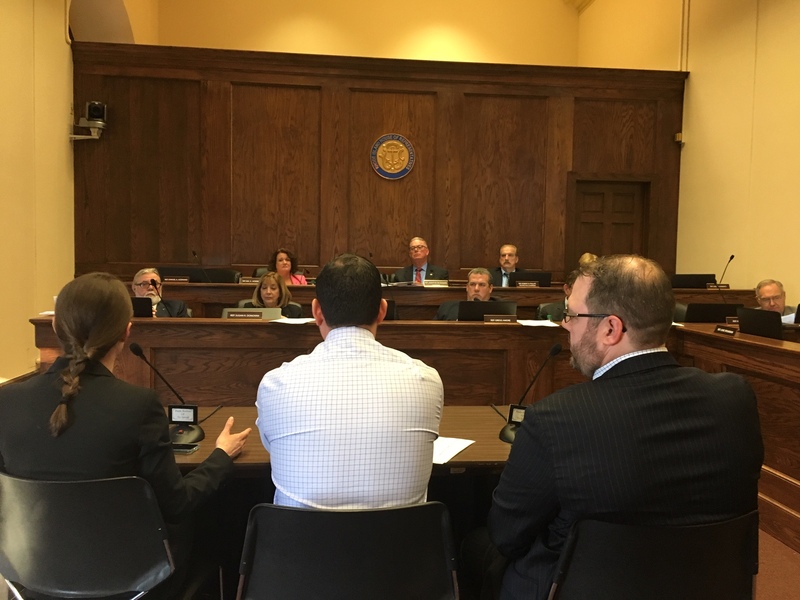 On Wednesday evening, a group of doctors and emergency medical service leaders told state lawmakers that Rhode Island’s 911 emergency center routinely fails to recognize cardiac arrests and provide potentially lifesaving instructions to callers and other bystanders. Dr. Joseph R. Lauro, an emergency medicine physician, testified before the House Committee on Health, Education and Welfare in support of a bill that would mandate that 911 call takers provide CPR instructions in cases of suspected cardiac arrest before rescue crews arrive. 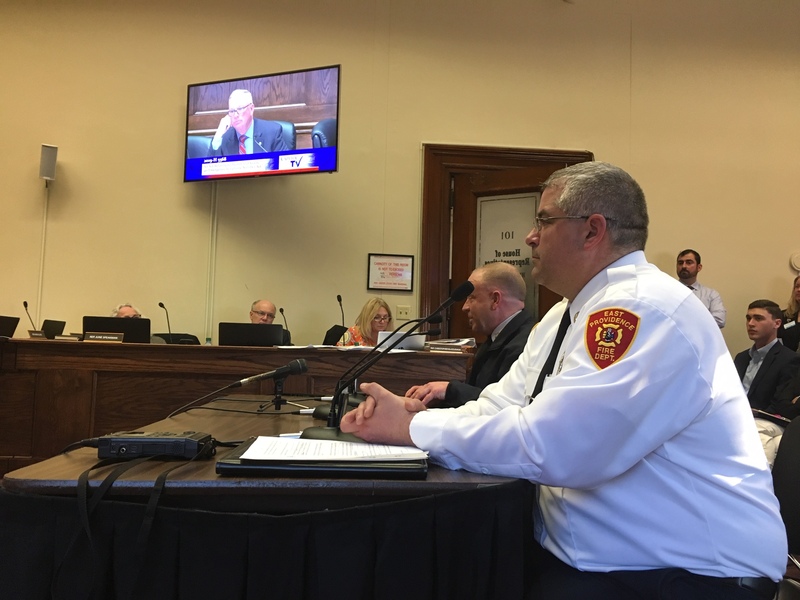 “We are here to tell you today that we are not meeting the standard at all in this state,” Lauro said, “and that people are dying as a result of it.”“Time after time we’ve seen cardiac arrests that do not get CPR” from 911 call takers, said East Providence Fire Capt. John H. Potvin, director of the city’s emergency medical services. “Telephone CPR … can make the difference between life and death.” In the case of baby Alijah, who died in Warwick last year, the call taker asked the same questions repeatedly, wasting crucial time. She gave incorrect information. And she failed to recognize that the baby was in cardiac arrest, meaning his heart had stopped and he was not breathing, according to three experts in emergency medical dispatch who reviewed a recording of the 911 call obtained by the baby’s grandmother and provided to The Public’s Radio. Doctors who reviewed the 911 call, Alijah’s autopsy report and a patient care report prepared by the Warwick Fire Department said it’s impossible to know whether Alijah would have survived with earlier intervention. One pediatric emergency expert in Florida said he thinks Alijah was too far gone given that his eyes were fixed and dilated by the time paramedics arrived. The bill under consideration would require at least one 911 operator trained in telephone CPR to be on call at all times to “coach” someone calling about a cardiac arrest until a rescue unit arrives. Rep. Joseph M. McNamara, the committee chairman, asked who provides the training mandated by the bill, whether it’s offered by the Red Cross and how much it would cost. Lauro said the Red Cross does not offer telephone CPR training but a number of other companies do. The training takes “a couple of days to get certified,” he said, but also involves ongoing reviews. The cost, Lauro said, is difficult to estimate and is dependent on the 911 center’s staffing. A half-dozen people testified in support of the measure; there was no opposing testimony. No vote was taken; the bill remains in the committee. In the interview, Manni defended the quality of the state’s 911 system. “We handle 450,000 calls a year and I would say the system overall works very well,” he said. Lynn Arditi is a health reporter for The Public’s Radio in Providence, Rhode Island. Email her at larditi@thepublicsradio.org and follow her on Twitter at @LynnArditi. The Public’s Radio and ProPublica are spending the year examining Rhode Island’s 911 emergency system. If you’ve called 911 or been the subject of a 911 call, we’d like to hear from you. Please fill out this questionnaire. You can also share your story by calling us at 401-213-9187 or emailing us at RhodeIsland911@propublica.org. Emergency Medicine Doctors Heather Rybassak-Smith (left), Joseph R. Lauro (center) and Nicholas P. Asselin testify at a House committee hearing Wednesday on a bill to improve training for 911 call takers. East Providence Fire Capt. John H. Potvin, director of the city’s emergency medical services, testifying Wednesday on the 911 bill.